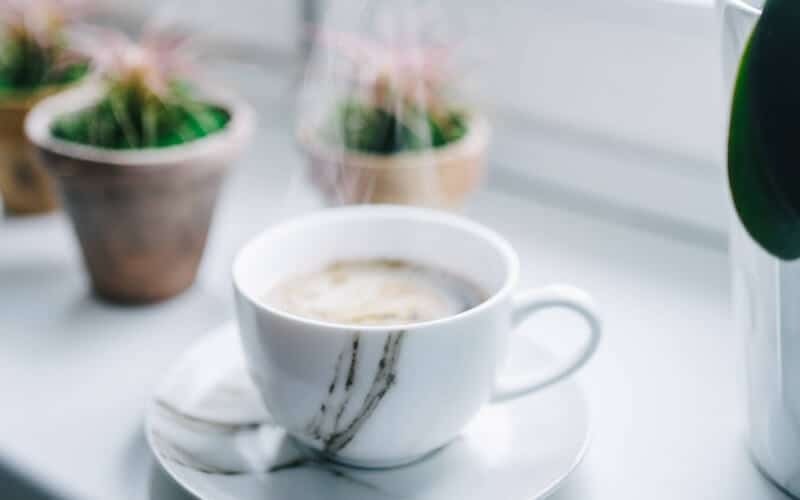 One of the most popular posts on Put The Kettle On is an overview of 9 Self Care Ideas to Look After You. I think we all know how we’d like to give ourselves care and most of us would agree that taking a long bubble bath, sleeping in or reading a good book are just a few ways to rejuvenate, but how on earth do we find the time? Finding time for self care is just as important as the act of self care. We want to make time, but also make time on a consistent basis – to keep our bodies, minds and souls happy. If you are anything like me – we know that we need self care, but we aren’t allowing ourselves to find the time for self care. The problem… we are too busy worrying about everyone else around us. Most of us realize that we can’t pour from an empty glass, so learning to dedicate time to you is the first step in your quest to find balance and maintain your sanity! Now that we agree that we must dedicate time, let’s figure out how! I recently wrote a post on time blocking to get more done in your day. Time blocking can be used for chores or tasks, but it can also be repurposed to look after yourself too! Get out your timer and set it for 30 minutes. Use this 30 minutes to do something you don’t normally allow yourself to do. Have a glass of wine in the bath, go for a walk on your own, or sit outside with a good book. Make a habit of this 30 minute self care act 3 times this week. In fact, block off 30 minutes in your calendar and do not cancel! If you think you can allocate more than 30 minutes, even better. Start with 45 minutes or an hour. Tip: Make sure you know exactly how you will spend this time and be ready with what you need before you press start on that timer. After all, you want all of the time dedicated to the enjoyable stuff, not you looking for a book or looking for the bath bombs you received for your birthday. 2. Take Non-Essentials Off Your To-Do List. If you just read the above and thought – oh, this sounds great, but I don’t even have 30 minutes in my day. This means you need to say bu-bye to those non-essential items that creep onto your to-do list. Do you have items/chores you can give to someone else? What to-do’s have you committed to that you want to say no to? Are there standing events you have in your calendar that you don’t love? The task here is to identify what you can get off your plate and to also remove things that don’t bring you joy. On a personal note, I’ve always made a point to be there to help my friends and family when they need me, but I’ve realized that being more mindful to what I commit to allows me to also be there for myself. Again, you can only give so much, especially if you are not practising self care. 3. Create a ‘ME Day’ (or evening). Doesn’t this sound great?! A number of hours dedicated to you doing exactly what you love and what you need. My advice on how to make this happen… Sign up for something. It could be a dance class, yoga, an art or calligraphy class. It doesn’t matter WHAT you sign up to, but that you sign up… and that it takes place once a week. Let’s say you have a dance class on Thursday nights; you can then add on a coffee with a friend after class, or arrange a long walk to your class to get some good quality me time in beforehand. When you sign up for a weekly program it allows you to commit to something you love for yourself and also be around likeminded people. This simple practice can open the doors to explore new hobbies and get you excited about life in new ways. If there is something you’ve been thinking about trying – just do it! I promise you won’t regret it. In our fast-paced, multi-hat wearing lives, providing self care goes to the bottom of the list for many. 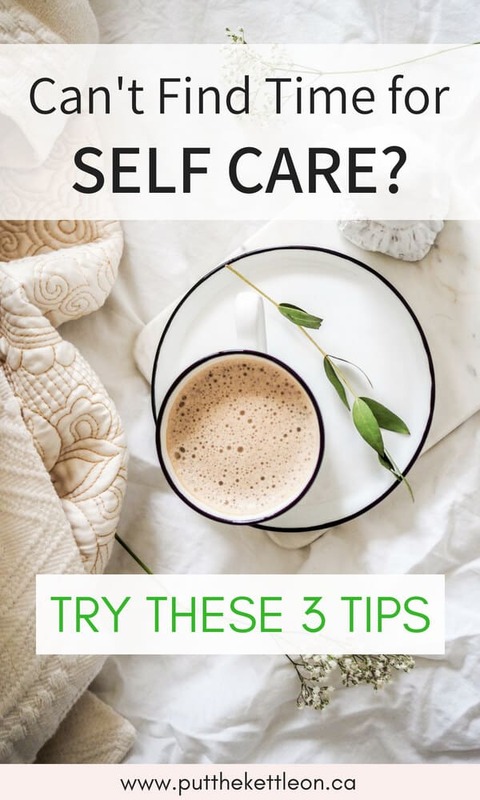 We know we need it, we’ll feel happier and live a more balanced life due to regular self care – yet we don’t allow ourselves to experience a consistent self care routine. If you agree with the above, get rid of the guilt, find time on your calendar and start to look after you. Now, I’d love to know from you… Do you manage to find time for self care? If yes, how often and if no, how do you plan to make time? YES YES to all of this, I do all of these things and remind myself to follow these items! Great tips! I schedule it in to my planner. Everyone is so focused on being busy these days, it makes me sad to hear or think of a mom who doesn’t even have 30 minutes to her day to focus on herself. 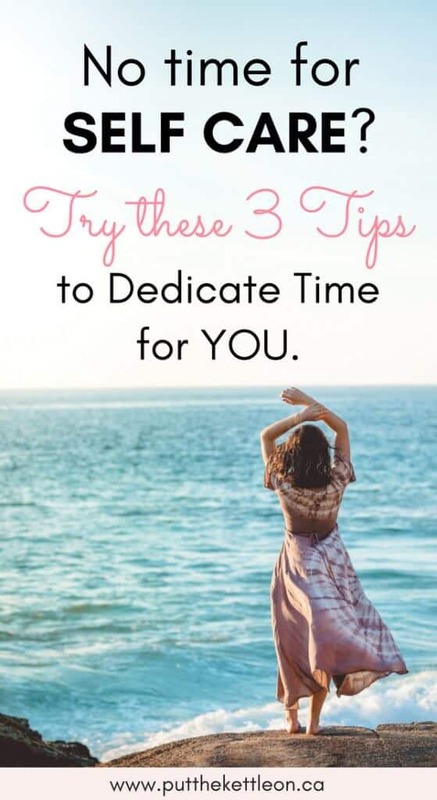 That sounds more like a time management issue than anything else because if you prioritize, you’ll easily find 30 minutes (or more) in a day to focus on YOU. These tips are brilliant. I’m going to try time blocking, setting a time for me. Thanks for the reminder – always needed. Now – where is that timer! 🙂 ? Me day coming up! Taking a vacation day and the kids are going to daycare for half the day time to recharge. I enjoyed reading this! I try and give myself some “me time” in the evening and bi-weekly pedicures are a must! All three of these are so easy to help incorporate time for me. Thanks for this! YEEESSSSSS! You have to take time to take care of yourself! This is non-negotiable. Time-blocking works the best for me. Great tips!! I really like the taking non-essential items off the to do list. Love this! I’ve been trying to take specific evenings off for “me” time every week! There should always be time for self care. Schedule it if you have to but just make sure there is me time. 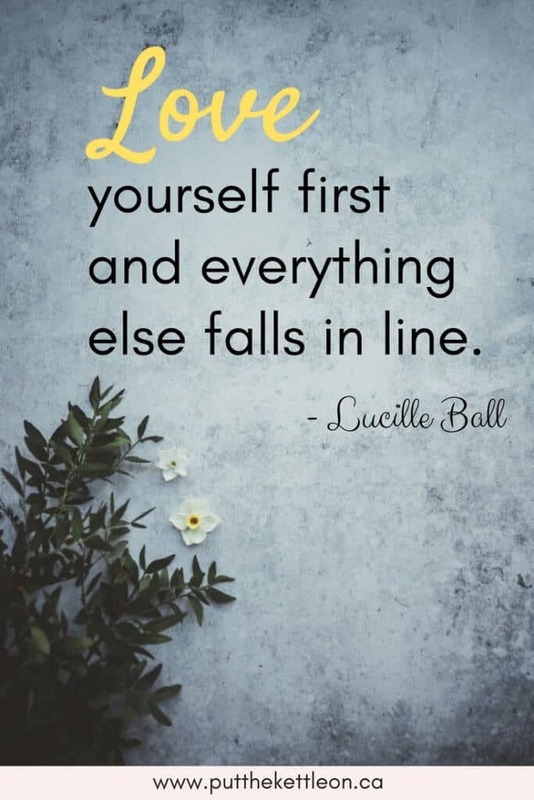 These 3 ways to practice self care are totally do-able. For me, I’ve found that I have to do the lat one. If I don’t get out of the house 9 times out of 10 I will get interrupted or distracted by something that ‘needs’ to happen. Isn’t asking for help the hardest? I love that you included this. We really can’t do it all! These are great ideas for self care. I like the 30 minute idea because it’s long enough to destress but not long enough to actually be in the way of anything life demands. I find my self care in reading blogs, as odd as that may sound. These are great tips! I will have to try the last one making a me day. I try to make me some me time and it can get hard trying to keep that time for myself. These ideas are so great and very practical. I love the idea of having a dedicated day or a class that I take regularly doing something I love. I can’t think of what that would be but it sounds like a great idea! Thanks! I have been making a point of practicing these habits for a few months now, but it’s great to be reminded. It’s amazing what a difference just taking even one half-hour to yourself can make to your mental health. The key is to be deliberate about it. Love these tips thank you! I always find it a challenge to decide what are essential tasks and what are things I can take off my plate. Sometimes I just want to get everything done so I do it all myself. This leaves me with very little time for nurturing myself. Something to work on for sure.